Recently, I had the opportunity to work at Sony Studios with Alicia Keys, her band, dancers and production crew. 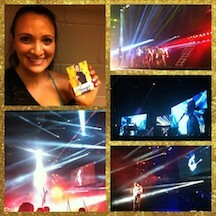 Everyone on the Alicia Keys Tour was truly amazing and so talented! I am honored and blessed to have worked with the AK TOUR!